Feng shui means "the flow of things." In this breakthrough book, the Chinese principles of energy flow, usually applied to arranging one's home, are extended to the most intimate house we inhabit--our human body. 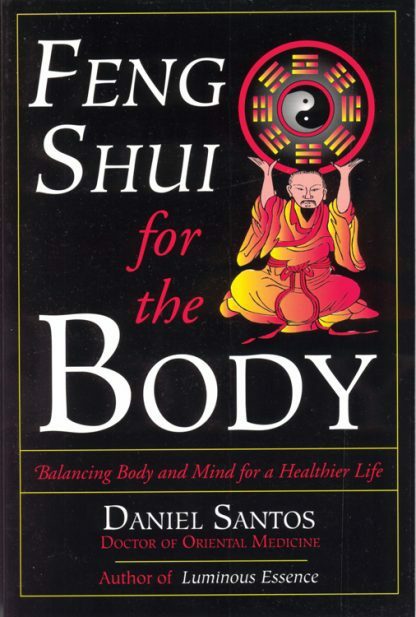 As Daniel Santos learns from three fascinating teachers to balance the energies of body and mind according to feng shui principles, he guides readers on a profound journey of self-discovery and self-healing. Postures, exercises, innovative meditations, and journaling techniques based on the principles of Chinese medicine and feng shui teach readers to "Become Aware of Your Center,""Contact Your Energy Body," and use the "Four Motions" of body movement, breath, eye movement, and sound to improve the body's energy flow for greater health and well-being.